PreSonus Symphonic Orchestra Available Now! PreSonus Symphonic Orchestra is more than just another sample library. It combines a complete symphonic orchestra instrument library with ready-to-use Studio One Musicloops for lightning-fast arranging and production in an attractively-priced bundle. The instruments not only comprise a full symphony orchestra, but also a contemporary strings library that has a different ambient character to choose from. 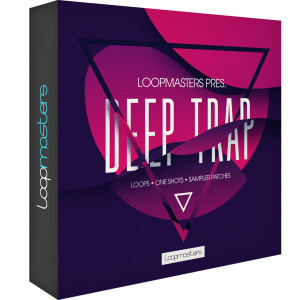 More than 1,200 Musicloops allow for creating full arrangements on the fly while retaining complete control over tempo, key, chords and sound character. Tight integration with Studio One makes production work fun again. 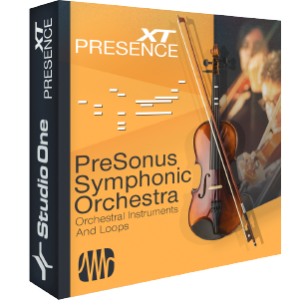 PreSonus Symphonic Orchestra is compatible with Studio One Prime, Artist and Professional (version 3.3.4 or higher), making it an ideal combination for aspiring composers and arrangers, as well as anyone learning or teaching music theory. With more than 1,200 royalty-free loops from 29 unique Construction Kits, PreSonus Symphonic Orchestra is a powerful composition and arranging tool even for someone who doesn’t have classical training or doesn’t play a keyboard instrument. Produced by professional orchestral composers, these Construction Kits cover a wide range of styles and instrument arrangements: Classical, Soundtrack, Jazz, Pop, Hip-Hop, House, Disco, and more. Click here to check it out at shop.presonus.com! Deep integration with Studio One: key-switch articulation names in Music Editor; searchable preset database in Instrument Browser, new Construction Kit category in Loop Browser. 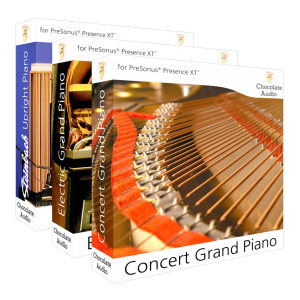 Three Sound Sets contain PresenceXT instruments, Studio One Musicloops and audio demos. Strings: Sustained Notes f & p, Con Sordino, Short detaché 2x, Pizzicato 2x, Col Legno 2x, Tremolo f, Tremolo pp, Crescendo, Cresc. Tremolo, Trill, Glissando, Grace Notes, Short chords, Arpeggios. Brass: Sustained Notes f & p, Staccato 2x, Half & Whole Tone Trill, Crescendo, Runs. Woodwinds: Sustained Notes f & p, Staccato 2x, Grace Notes. Percussion: Single Strokes, Tremolo, long/medium/short Cresc., Glissando. Harp: Glissandi – long, medium, short / major, minor. 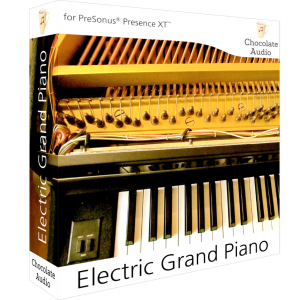 Get the Chocolate Audio Piano Series for Studio One for 30% Off! Let’s talk about chocolate–it’s delicious. But it gets better. Your favorite DAW, Studio One, and chocolate combined to make the Chocolate Audio Piano series! AND for the month of November, purchase the Chocolate Audio Piano series for Studio One for 30% Off directly out of the PreSonus Shop! Offer available worldwide. Here’s what you need to know about the collection–it’s compatible with Studio One 3.2 Prime, Artist and Professional and it’s specially designed for Presence XT within Studio One 3.2. Three different pianos are available, each recorded with high-quality mics and expensive preamps. If you can’t pick just one, get the combo pack of all three! We recently blogged about the whole collection–read more here. These three are also available for individual purchase for 30% off for the month of November. We released Studio One 3.3 earlier this year–read all about it here. Click here and head to the PreSonus Shop! Comments Off on Get the Chocolate Audio Piano Series for Studio One for 30% Off! Looking for some of the best-sounding pianos you can get for Studio One? 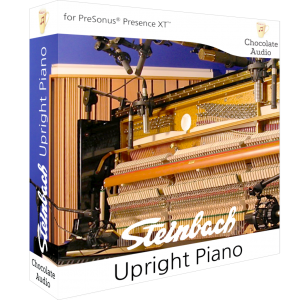 Look no further than this Piano Collection from Chocolate Audio. Three different pianos are available, each recorded with high-quality mics and expensive preamps. They also take advantage of Presence XT’s advanced scripting functionality to simulate the behavior of these beloved instruments as accurately as digitally possible. If you’re not sure which piano is right for you and your music, check out the descriptions below. And if you’re still not sure after reading, get the combo pack of all three. 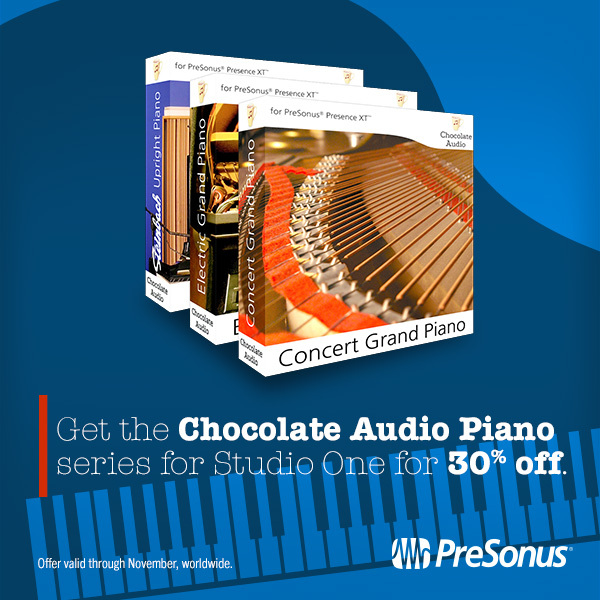 The Chocolate Audio Piano Collection for Studio One is available only at shop.presonus.com. A recreation of a world-class concert grand piano sound as found in a Steinway D274 grand coda. This piano is gorgeous and rich in sound with a very well-balanced tone, very well fit for classical but equally at home with jazz and any scenario where a full piano sound is called for. Great attention was paid to recreate this huge concert’s signature full and balanced sound through sampling. 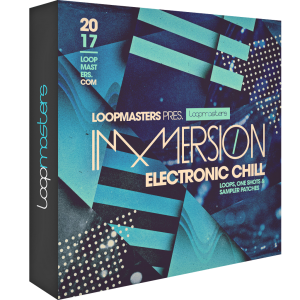 The sample set features 11 dynamic layers and a sustain pedal resonances layer, 12 release sample layers and pedal and key release noise effects tuned to perfection using Presence custom scripting. Studio One Professional users can load the multi-instrument preset which combines the two microphone sets for an even fuller control on its sound. The Concert Grand offers two different phase-coherent recording setups: a player’s perspective recorded with Schoeps CMC6 microphones and a listener’s perspective recorded right at the edge of the lid with Neumann KM microphones, all matched-pairs going through Millennia preamps. A top-notch rendition of a famous Japanese electric grand piano. At that time it was dubbed as “compact,” which it actually was when compared to the weight and size of an acoustic piano. Its mid-rangey character is due to the presence of a piezo pickup under the saddle of each string. Full restoration was carried out and proper tuning applied on the piano before sampling. A classic sound heard on countless hit records in the 70s-80s is now reborn inside Studio One. Achieving a quality level on par with our goals from this piano was tough. The onboard electronics are noisy and the piano picks up a lot of ambient noise even if it’s electric (imagine a guitar with 88 strings!). Through attention and care, we managed to capture what we believe is the best rendition of this classic electric grand piano. The sample set features 12 dynamic layers, a sustain pedal resonance layer, nine release sample layers, and pedal and key release noise effects tuned to perfection using Presence custom scripting. The Electric Grand was sampled direct from the output to the preamp and converter. All of the behavioral details of the piano have been re-created through the use of Presence XT’s custom advanced scripting. This is a world-class piano recorded in a state-of-the-art studio with choice microphones and audiophile preamps and converters. Great attention was paid to recreate Steinbach’s signature full, organic, sound through sampling. 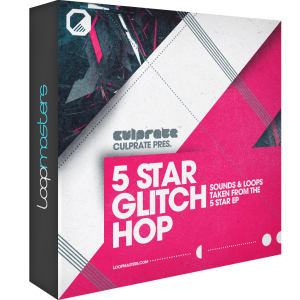 The sample set features eight dynamic layers and a sustain pedal resonances layer, four release sample layers and pedal and key release noise effects, tuned to perfection using Presence custom scripting. The Steinback Upright was recorded with two different phase-coherent setups: Blumlein stereo and Spaced stereo, recorded with Royer R121 matched-pair ribbon mics through Millennia preamps. Studio One Professional users can load the multi-instrument preset which combines the two microphone-sets for an even fuller control on its sound. 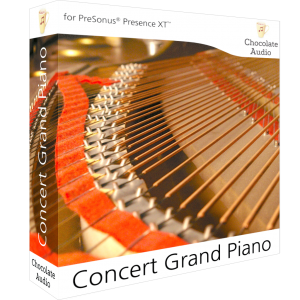 The Chocolate Audio Pianos are compatible with Studio One 3.2 or later: Prime, Artist, and Professional editions. Touch Response* control: sets the amount of pre-attack key noise heard, sets the attack time at higher settings. 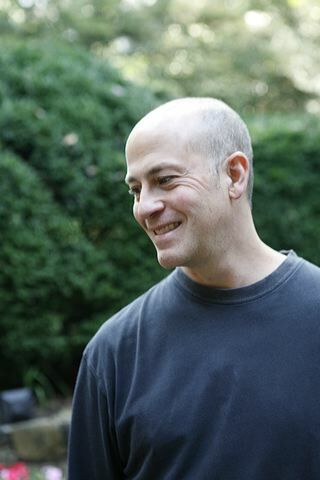 Notion user Michael Josephs is an award-winning American film and television score composer. He has written and conducted musical scores for many notable films and television programs including Wild Kingdom, National Geographic, and many PBS specials. Recent projects include scores for HBO, BBC, PBS, NBC, CBS, ABC, The History Channel, and many others. Michael received a National Primetime Emmy Award nomination for Outstanding Main Title Theme Music for his score for the series Thoroughbred. He has received numerous other awards. He received a National Primetime Emmy Award nomination for Outstanding Main Title Theme Music in 2001. He has received numerous other awards. Hello Michael – please tell us a little bit about the kind of work you do? From there I branched out and started to work for other directors and networks and do other shows like “Wild Kingdom”, “National Geographic”, HBO, a lot of PBS stuff, etc. Briefly, what’s your workflow/process, from the first time seeing the cue, to conducting and recording it? I rarely have the luxury of seeing something before it’s handed to me to start writing. I do try to take a day or two at the beginning and just work on thematic material at the piano, some of which, and sometimes none of which, will end up in the film, but it gives me a moment at least to close my eyes and think about what kind of score it will be. The deadlines are always very tight so it’s nice to have a little space to imagine before diving into the mechanics of writing. From there, I put the film up and start writing from the first frame. I tend to write sequentially, so I go cue by cue straight through the film, rather than jumping back and forth to different scenes. Sometimes themes develop as you work, so I’ll jump back some times and incorporate things or hints of where things may lead. I started my career before computers, recording live directly to 2” tape for many years, so the computer and digital-video still seem like an incredible luxury to me! Some of the sequenced parts stay in, and I write and copy charts for everything that will be played live. If it’s a smaller score, I do most everything at my own place, including a lot of overdubs, and then I’ll mix here. I’m set up for 5.1 mixing, and it’s very comfortable working in my own space. If it’s a larger ensemble I’ll do some tracking and mixing at a commercial studio because room is just too tight here. I also conduct the sessions too. When I track somewhere else I’ve started a new thing lately, which is to just use their physical space and microphones and cue-system, but record right into my own portable rig and rack, which saves time and confusion transferring files back and forth. What’s the relationship with the director/producer/music supervisor – how can it affect what you write? Most of the time, at least with documentaries, there are no temp scores or preconceived notions. Directors want me to come up with the concept, direction, vibe, really everything. It’s the opposite of people loving a temp-track…there is no guidance at all, so I really try to give each film something completely different and unique. As far as directors and producers, it really doesn’t matter how much or how little they know about music, but rather what kind of creative spirit and vision they have. I work with people who know absolutely nothing about music and are wonderful and creative to work with, and others who know a lot about music but have bad instincts with it. It’s really all over the place! I don’t feel it’s their job to know a ton about music. If they could compose music, they probably would! What was it about Notion that attracted you? Notion is AMAZING! I love it. I own both Finale and Sibelius, but they have to be the most difficult, not-intuitive programs I’ve ever encountered. Just doing some little tweak requires me to pull out the manual, and even then I still can’t figure it out! How have you found Notion now you are using it day in, day out? From the day I tried Notion, I was hooked. It is completely intuitive, and I have never looked at the manual. When you want to do something, it is always very obvious how to do it quickly. It can go pretty deep if you need it to, but the basics are right there and not hidden fifteen deep in some hidden sub-menu. For day to day trying to get work done, it is unparalleled. With the budgets I have, I need to do my own orchestration and copying, and the last thing I would want to do is take three days off of precious writing time to do charts. Film music usually has a ton of key, meter and tempo changes, so this further complicates that process. Any user tips or tricks based on your experience with Notion? Sure. I do a quick clean-up of the music before I export a midi file from my DAW. I then import that file into Notion. I also open my empty “template” file in Notion that is set up the way I like, add the relevant instruments to the staff, then do a mass copy / paste of the imported midi file into the template. This is great because Notion reads all of the key and meter changes beautifully. From there I quickly add articulations, dynamics, clean stuff up, and extract the parts. It all goes very fluidly with Notion. Can you tell us what might be coming up for you, or out soon? 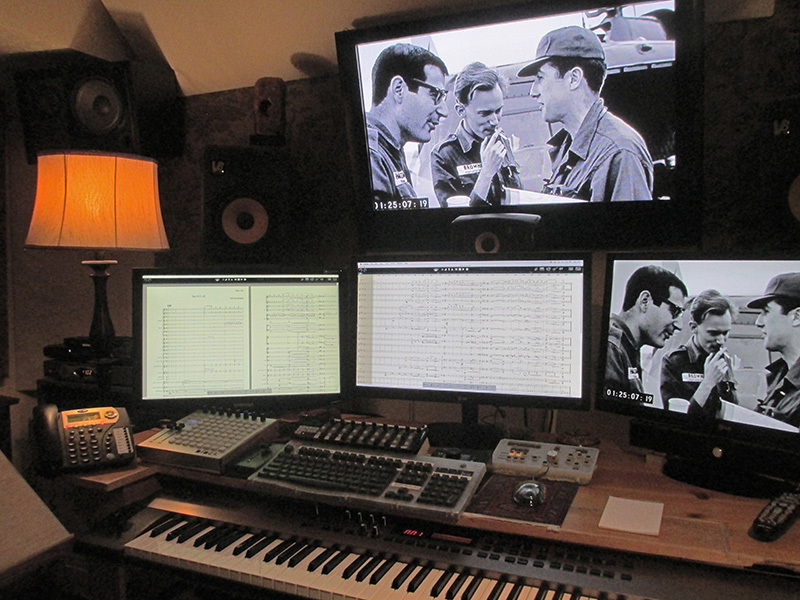 I did a really good film recently called Dateline Saigon, which both has a score and also arrangements of period music. I dove right in with Notion on that, and it was fabulous. I compose 99% of the time, so doing arrangements was a little different for me, and Notion made it possible to do the charts and also change them up and re-print them really quickly when there were re-edits of the film. I also did another terrific IMax film right after that, but it won’t be released until next year… so watch this space! Where can we find more about you and your music? 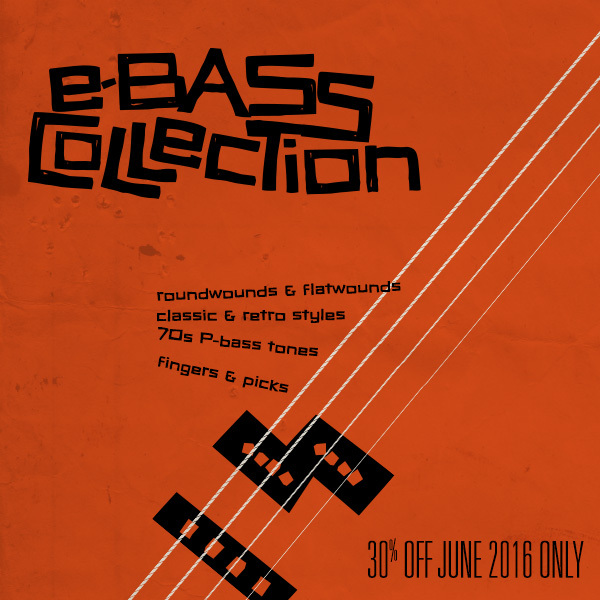 Only in June 2016—we’re offering 30% off of any item in the entire line of eBass Add-ons for Studio One 3. These recordings of a real-deal 1970s P-bass have been recorded in immaculate detail. Make no mistake—this isn’t a one-sound-per-MIDI note sample pack like that SoundFont from 1998 that you found on some “Free samples” website. There is a LOT for you to work with here—the packs include many different right-hand dynamics, left hand positions, hammer-ons, slides, dead notes and harmonics. There’s also a bevy of scripting at hand here, including valuable presets for you keyboardists out there who want to emulate bass playing via MIDI. 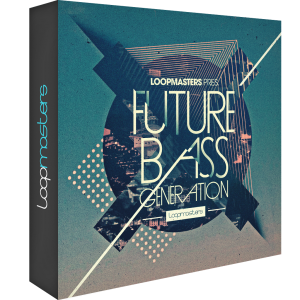 Last but not least, each pack includes Musicloops in a variety of styles, including MIDI note data and effects chains per Musicloop. There are four packs in the e-Bass collection: Vintage Finger, Vintage Pick, Classic Finger, and Classic Pick. They’re also available in an all-in-one combo pack. The eBass collection is available for all editions of Studio One 3: Artist, Professional, and Prime, and can be purchased on shop.presonus.com or directly from inside Studio One. 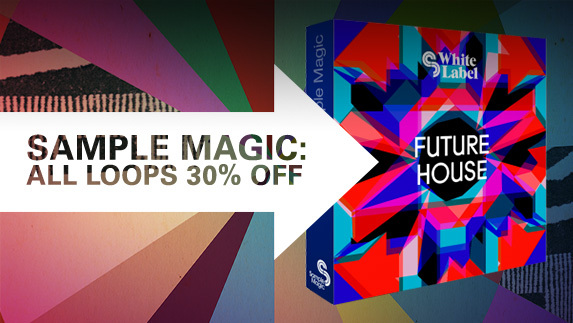 Limited-time offer in May 2016: We’re offering 30% off of loops from Sample Magic over at shop.presonus.com! Meticulously sampled from vintage equipment of yesteryear like the TB-303 and classic modular synths and drum machines, Sample Magic has a pack for you regardless of what style of electronic music you’re into producing. Check out the audio demos below, and click here to shop and save! Note that you’ll need to be running Studio One 3 Artist, Prime, or Professional to take advantage of these loops. Comments Off on Monthly Add-on Deals Start Today—Acoustic Drum Loops 30% off!